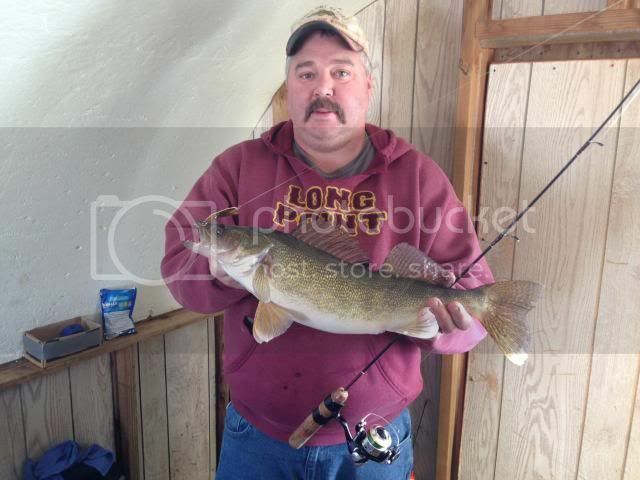 Lake of the Woods report 1/10/14 - - - 7 messages. Showing 1 through 7. It was time again for our annual guys fishing trip. This trip is very significant to us and involves the usual clan. We had a couple that couldnt make it this year due to sickness but fun was still had by all! We started the trip at 2am Friday morning with a straight drive through to Baudette. A quick breakfast at Mickey Ds and we were onward to Long Point Resort. To the best of our knowledge we are encroaching in on our 20 year anniversary of this trip! The cabins at Long Point are always clean, smell good and everything is in working order. My wife even enjoys coming because of the accommodations. We do like to have a few adult beverages but enjoy that the resort does not have a bar restaurant. There seems to be some late night craziness that can come with that. I must say that there ice houses are fairly typical Lake of the Woods day houses but the boys put in extra effort to make sure your happy. If you dont like were you were one day they will move you. When you show up the next day the house is clean, warm and ready to fish. Friday we fished in 32 FOW and we were at the end of the road. There was traffic but it was minimal. The fish started biting right away. 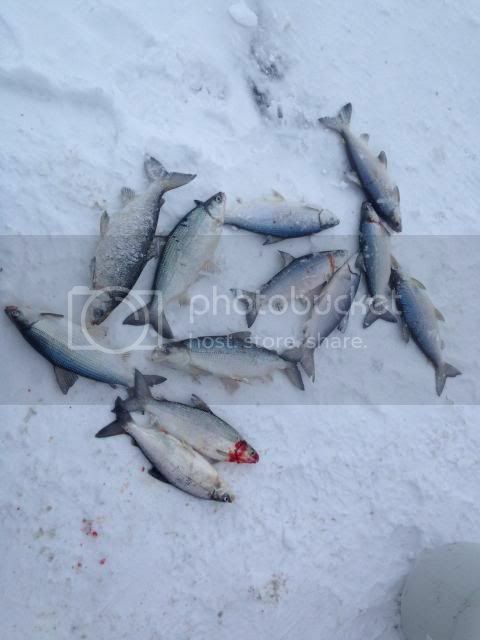 We landed quite a few nice Saugers in the morning from 8-10 am then it turned into a Tulie-rama! It was pretty easy to land 10-12 a day without trying. There were of course walleye and saugers mixed in. The evening shift of 3-5 proved to be another great time to get some bucket fish. 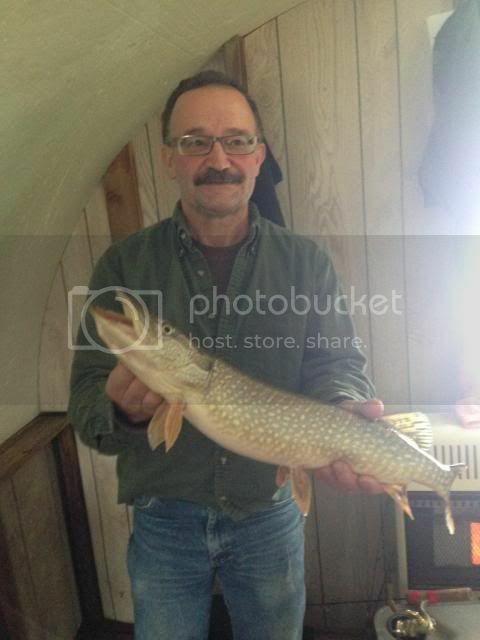 Most of our fish came from jigging PK lure flutterfish, VMC tinglers and of course the slender spoon. Saturday we went back to the same house but within a couple hours we were surrounded by people hoarding the resort house. This had an impact on our fishing as we did not catch as many over the course of the day but had plenty to eat for the night. Same lures and same depth. Sunday we worked with the boys and had them move a house that was a bit off road for anyone to get to and a bit deeper. 34 FOW was our target and it proved to produce immediately! I lost a very nice fish at the hole but was blessed a few hours later by catching another nice one. 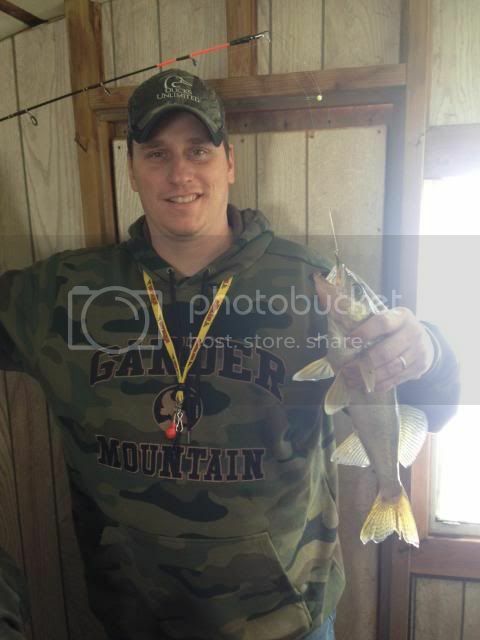 It was pretty easy to finish the sauger limits and head for home by 1pm. We jigged the same lures and even went with a couple hand tied flies to see what the tullies would do with them. 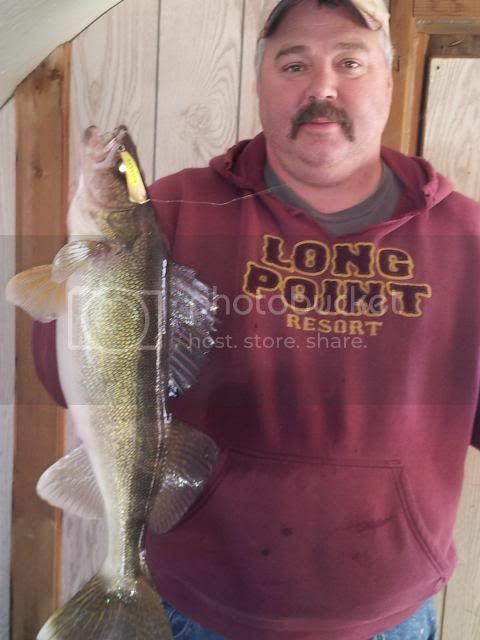 It turned out the walleyes even loved them! I did have a chance to purchase a new Marcum LX-7 for this trip and all I can say is it is an amazing machine! This is an upgrade from a LX-3tc and LX-5. This machine is not even in the same league as the rest of the machines on the market! By the end of the weekend everyone in the house was convinced. We had Vexilars, Humingbirds and older Marcums and we put them through the test. It was a hands down win for clarity and ease of use. Give them a look if you are in the market. You will see a custom made 38 rod in one of the pics. Yes there long but we love to use them! In the ice house there cumbersome because of length but hole hoping there amazing! Thanks for the report, SB! Can I grab a couple of these pics? Good report. Can't wait for our trip to Baudette and Slims Resort. Always treated good there, along with super fishing. No problem Web! use away. Nice job SB. 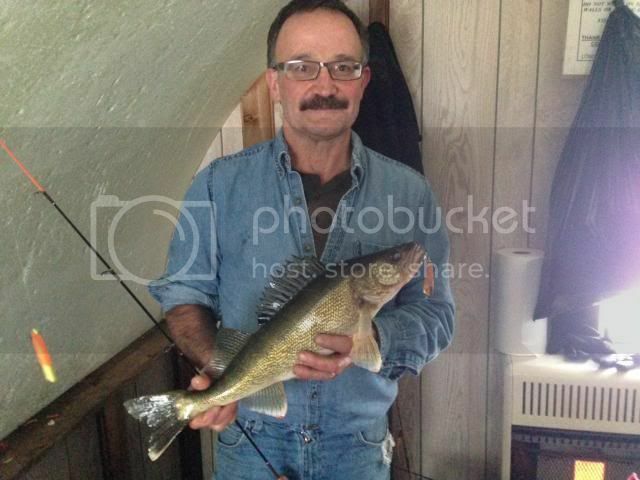 It seems that you are the only one out catching eyes this hard water season! Keep it up! And time to smoke some tullies! Domino-I've been hearing really good reports for Lake of the Woods, and Red Lake. Got the pics up... Thanks SB!